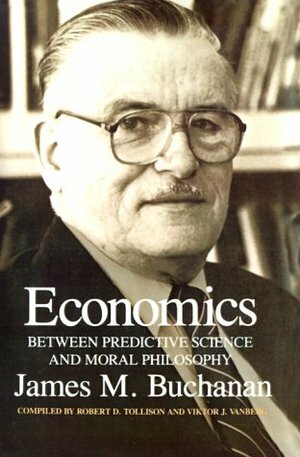 This book presents twenty-six of the major papers of 1986 Nobel Laureate James M. Buchanan, who played a key role in the development of "theoretical institutional economics" and was awarded the Nobel Prize in economic science for his contributions to a theory of political economy as well as his leadership of the public choice movement. These articles, written from the early 1950s to the mid-1980s and spanning various subfields of economics from public finance to methodology, form the core of Buchanan's work. In each paper the constitutional economics paradigm--viewed by the author as a modern revival of classical political economy--is modified, extended, and applied to particular issues. Contemporary economics grew out of the eighteenth century's moral philosophy--today's social science. Over years of disciplinary separation and specialization within the social sciences, economics has increasingly moved away from the issues about which its founders were concerned, issues that are central to the identity of the economic paradigm. A particular target of criticism has been the tendency to define and analyze economic processes as if they occur in an institutional vacuum. A number of new theoretical developments--among them public choice and the new political economy--have been initiated to refocus economists' attention to the institutional framework of economic activity.Buchanan is perhaps best known as a man who changed the ideas of a generation of scholars about the way the social and economic world works. Rather than working within a tradition, he created his own in the Virginia school of political economy. Aside from published works, his influence has been felt in lectures, conferences, and comments on his colleagues' work.This book will be valuable both to first-time readers of Buchanan's writings and to those already familiar with his contributions to economics.